A profoundly fascinating, illuminating major work from the beloved, bestselling thinker and neurologist Oliver Sacks—completed by him just before his death—provides readers with a compelling, rare gift from the master. 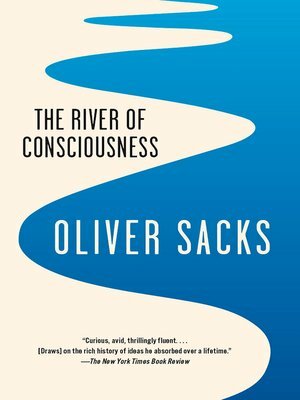 The River of Consciousness reflects Oliver Sacks at his wisest and most humane, as he examines some of the human animal's most remarkable faculties: memory, creativity, consciousness, and our present, ongoing evolution. Before his death, Sacks personally collected into this one volume his recent essays and case studies, never before published in book form, which he felt best displayed his passionate engagement with his most compelling and seminal ideas. The book, lucid and accessible as ever, is a mirror of his own consciousness, discovering in his personal and humane interactions with others, unique insight, and fresh meaning. Featuring a preface written two weeks before his death, The River of Consciousness reveals the beloved, bestselling author's unique ability to make unexpected connections, his sheer joy in knowledge, and his unceasing, timeless project to understand what it is that makes us human.